There was a marathon reading of Mary Shelley’s Frankenstein in Houghton Library from 9am until 4pm Wednesday. 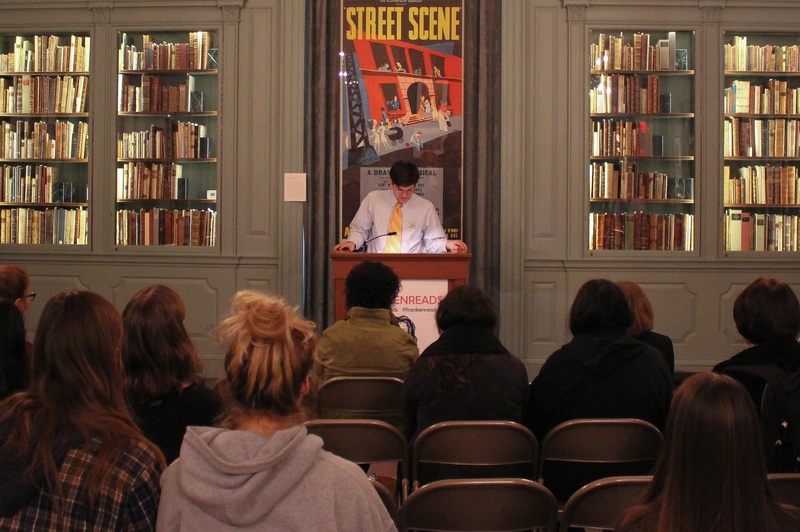 Houghton Library hosted a Halloween reading of Mary Shelley’s “Frankenstein” in honor of the 200th anniversary of the book’s publication, attracting scholars, students, and members of the public alike. 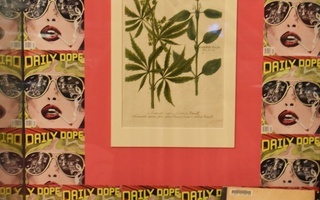 The event marked the first time the Houghton Library has held a marathon reading, according to lead organizer and Houghton curator Leslie A. Morris. The reading was part of Frankenweek, a week-long celebration at Harvard that featured a symposium on the significance of “Frankenstein” and screenings of eleven different film adaptations of the book. “It is one of those novels that really has permeated culture in a way. Considering that it was Mary Shelley’s first book, it’s quite remarkable,” Morris said. Participants could sign up to read aloud a 10-minute section of “Frankenstein,” and a steady stream of people flowed in and out of the room throughout the event, grabbing treats from the back while listening to sections of the novel. Time slots to read were filled within 36 hours of the sign-up form’s posting, Morris said. Members of the class English 148: “Modern Monsters in Literature and Film” participated in the event because they had studied “Frankenstein” as part of the course. “I was a little nervous when I started, but once you get into the flow of things, it’s so easy to read it because you can feel the emotion of the words,” said Aislinn S. Devlin ’21, a student in the class. Several participants said they found the event rewarding. English Professor Stephen J. Greenblatt, who also read at the event, said he found the experience of hearing the novel “intellectually illuminating” and emphasized the book’s significance over the past two centuries. Allison Pingree, director of cross-school programming at the Harvard Initiative for Learning and Teaching, said she initially planned to leave after reading her section of the text but decided to stay.